Mallorca is one of Spain’s Balearic Islands, nestled in the Mediterranean Sea and blessed with a barrage of natural beauty that pulls in travelers worldwide. The limestone mountain ranges ebb and flow throughout the large island, with pockets of lush valleys and the rich rivers that coarse through them. But where Mallorca become unique amongst its cousin islands in the Balearics is through its history that decorates its cities, villages, and wide spread of land. Mallorca has managed to captivate its guests time and time again, thoroughly earning its immensely beloved reputation. Palma, Mallorca’s capital and pride, is a city where old meets new, as embodied by its most famous landmark: the Santa María cathedral, where it towers over the Bay of Palma in all of its Gothic glory. Palma doesn’t peak with the cathedral’s ornate design—adjacent is an Arab fortress turned royal residence dubbed Almudaina, challenging the Santa María’s architecture with its own unique Moorish flare. And to round out—literally—Palma’s vast display of architectural feats is Castell de Bellver, a notably circular castle-museum perched on a hill overlooking Palma, serving as a home to the city’s history. Jump on the Tren Soller, an electric railway that takes its passengers along a scenic path from Sóller to Palma, get up close to sharks and ocean life at the Palma Aquarium, and don’t miss the art collection at Es Baluard Museu d’Art Modern i Contemporani de Plama, where the works of Balearic artists fill the museum. Witness the commanding display of Catalan Gothic architecture at Lonja de Mallorca, a historic civil building with intricate arches. Santa Catalina, a former fishing district is transformed into the hip, high-end part of Palma where streets are lined with painted cottages and impressive mansions are dripping in art nouveau. Dive bars serve expertly concocted cocktails, music fills the sweet-smelling air, and restaurants welcome diners hungry for traditional and ethnic cuisines. Nearby is Mayor Plaza, a public square that duals as an outdoor craft market where you can spend the day shopping and sipping coffee in cafes. Outside the city are refined beaches with waters as bright as the shining skies that drape over the Balearic Islands. Caló des Moro, hugged by a cove, has shallow turquoise waters filled with lazy boats, swimmers, and visitors in search of the perfect sunset view. In Cala Figuera, a district in Santanyí, high cliffs taper to the town’s fishing harbor, where sailboats drift along, working towards the fresh catches that will fill restaurants and markets. Tourists often overlook Cala Figuera, but for you, this means an untouched piece of Mallorca where the traditional way of life prevails. Drach Caves is as mysterious and intriguing as its sounds. An interconnected system of caves than runs beneath Mallorca’s surface, guiding its explorers to the rewarding arrival at the world’s largest underground lake. And for ancient caves with twenty-first century flair, visit Coves dels Hams, where music thumps in this subterranean grotto while light shows mesmerize, all made complete a botanical garden and a secret lake. Meanwhile, above ground is Cap de Formento, the stony giant of a mountain range that forms the eastern end of Mallorca’s Formentor peninsula. The locals refer to the cape as the meeting point of the winds, a phrase that accurately marries the formidable natural point and the romance of its beauty. 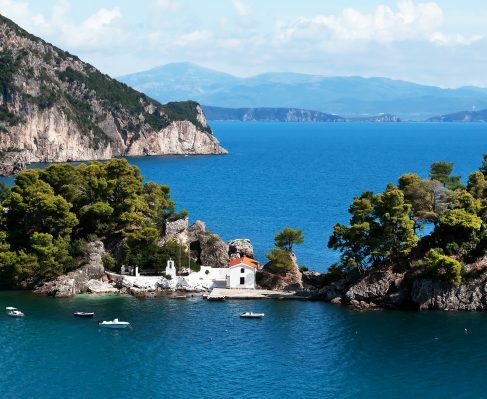 Ancient donkey paths weave alongside newly laid roads, caves, whose maws open to the sea, are tucked away in the rock, old watchtowers stand stoically against the test of time, and lighthouses with stunning views. The highest peak in Mallorca is Puig Major, a formidable mountain that looms over the land in a military zone, but fear not, you can climb its sister peak of Puig de Massanella, where her summit reaches an impressive 4,475 feet. If you so choose to embark on this climb, you’ll be treated to several ruins near the summit—former snow houses that sheltered climbers from centuries past. The piano of internationally renowned composer and pianist, Frédéric Chopin, resides in the stunning village of Valldemossa. Looming limestone mountains blanketed in richly green vegetation cup the village, where its tan buildings rest in quiet tranquility, among them being the Royal Charterhouse of Valldemossa, built in the dawn of the 14th century. The town, though small, has made a name for itself, hosting several festivals every year like the Festival of Saint Baromeu, Festes de la Beata, and Annual Artdemossa. Valldemossa is no stranger to good food and exhibits a spirit of inventiveness in its modern fusion cuisine. A deep canyon rests on the northern coast of Mallorca named torrent de Pareis. Hike through it if you’re feeling hardy, and let the sight of the sea and the healthy surroundings of vigorous vegetation honor your efforts. In the same vein is Mondragó Natural Park, where one could easily spend a day on its wide beaches, warm waters, walking trails, and spotting the hundreds of bird species and wildlife unique to Mallorca. For modernized entertainment, Mallorca doesn’t fall short. Western Water Park is enormous, and with its numerous water slides, rides, and Wild West theme, it knows how to show you a good time. Marineland Mallorca touts the best of the island’s marine life through dolphin shows, aquariums, and plenty of the ocean’s more fearsome creatures—sharks. 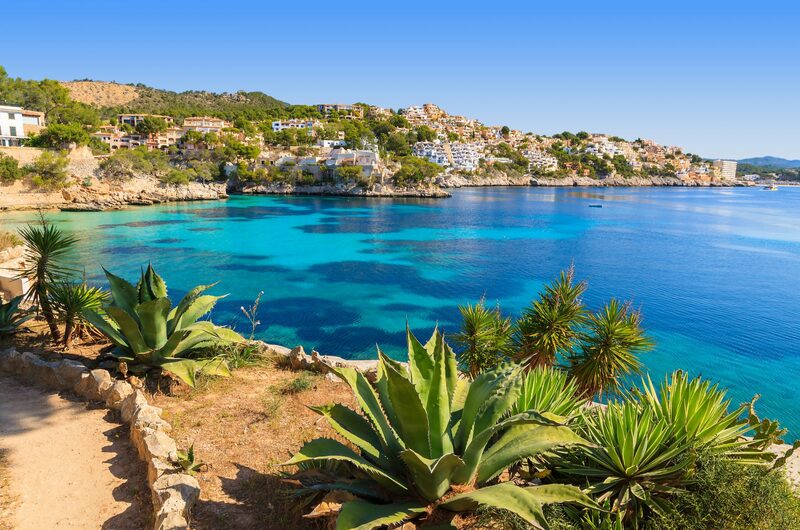 Mallorca impresses with Platja de Muro, a nearly four-mile stretch of immaculate beach, a true slice of Balearic paradise, and with Cala Major, a resort with a spacious shore, shaded with swaying palm trees, and perfected with casual tapas bars. 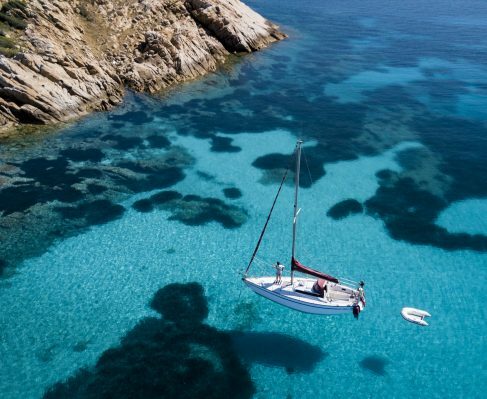 There’s always another piece of beach to scope in Mallorca, and Cala Agulla demands your attention with its bold blue waters and supreme snorkeling conditions. The island of Mallorca presents a balance of history, natural astonishments, and contemporary culture—truly, a supreme blend that allows its visitors to experience a little of everything. 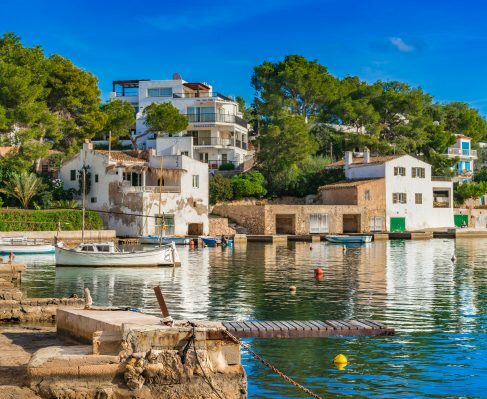 Mallorca feeds travelers eager to educate themselves in its beloved traditions, immerse themselves in its epic mountains and stunning beaches, and fill themselves on its acclaimed cuisines. It’s a feeling of completion that only a holiday to Mallorca can yield and nourish.